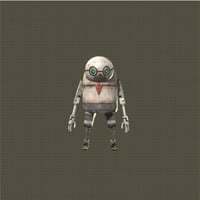 Scientist Machine is an Standard Machine enemy in NieR: Automata. "This self-proclaimed genius sought investors for a once-in-a-lifetime invention--a rocket which landed on a Mars instead of the moon. Despite the project ending in failure, it also served to solidify his standing as a unique intellect."